The Solitaire is the result of my quest for a compact satellite speaker. In this design, I chose a midrange driver, a Peerless 830870 and housed it in a 6 liters sealed box. To supplement the 830870, I paired it with the Morel MDT29 tweeter. This Morel is a bit of an overkill. At $52, it is almost double the price of the Peerless 830870. Nonetheless, if it meets my expectations, that’s all that matters. For this evaluation, the Solitaire is driven active biamp using my Synergy amplifier kit. I developed the Synergy specifically for this purpose. Within are 18dB/oct precision filter networks for High and Low Pass. The filters feed two LM3886TF chip amps, one for the tweeter and the other for the woofer. Even the power supply filter capacitors are on board. All in a small pcb of 7″x6″. The following measurements are with the microphone at 24 ins, tweeter axis. Impulse Window = 5msec. No Smoothing applied. Frequencies below 500Hz are in Nearfield. The Black plot in Fig 1 is the RAW response of the Peerless 830870. I couldn’t quite believe my eyes when I measured this midrange. It is virtually flat all the way to 4kHz. No Baffle Step anywhere. In fact, the bandwidth extends to 10Khz. The Black plot in Fig 2 is the RAW response of the Morel MDT29 tweeter. This is the second shock that hit me. The RAW response of this MDT29 is smooth throughout. I’ve never in my life ever measured a dome tweeter without baffle diffraction creating havoc with the response. One could be forgiven to mistake this for a horn loaded tweeter. I have finally found a dome tweeter that I like. The Red plot is the response at 2.5kHz HPF at 18dB/oct. Again, there are no jaggedness anywhere. A perfectly smooth slope in the roll-off. Bear in mind that both the MDT29 and the 830870 are not flush mounted. Fig 3 – Blue plot=Peerless 830870. Red plot=Morel MDT29. Fig 3 shows the acoustic slopes of the Peerless 830870 and the Morel MDT29. Due to their flatness, they cross exactly at 2.5kHz. Fig 4 is the response of the Solitaire. The Peerless 830870 and the Morel MDT29 crossed perfectly. Notice the smoothness in the treble. No other dome tweeter can do this. 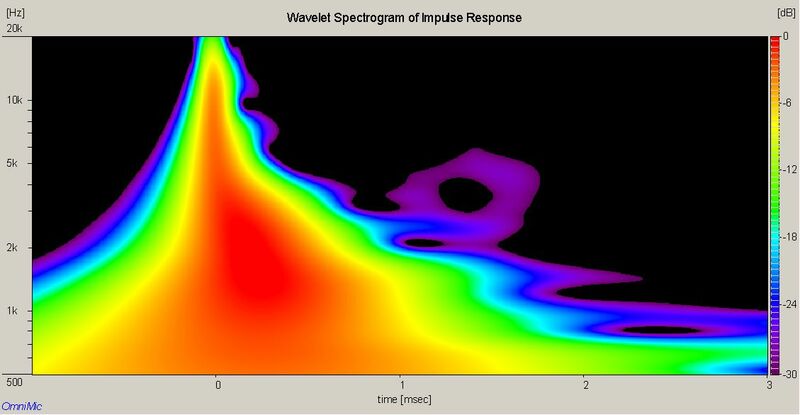 Fig 5 shows a beautiful null at the crossover frequency of 2.5kHz. This shows the acoustic centers of Peerless 830870 and the Morel MDT29 are quite close together. The Stored Energy of the Solitaire (Fig 7) is remarkably minor. This is evident in the Waterfall plot in Fig 6 as well as the Spectrogram in Fig 8. What these mean is that the Solitaire is exceptionally clear. In auditioning the Solitaire, I used the Albatross in a 2.1 setup shown above. An electronic crossover feeds a Mono Signal to a power amplifier which then drives the Albatross. I adjusted the Low Pass frequency to 300Hz to kill off the midrange in the bandpass. The Solitaires are driven by the Synergy amps with the internal crossovers set at 2.5kHz for High and Low Pass. I avoided adding a High Pass to roll-off the bass in the Peerless 830870 because in a sealed box, they already roll-off at 90Hz (-3dB). This just so happen to coincide with the Albatross Low Pass so I’m basically using the natural acoustic roll-off of the Albatross and the Solitaire. The Solitaire is spectacular. This is the clearest and most accurate response I have ever achieved with two drivers. It’s so flat it qualifies as a reference monitor. For vocals, I played the Girl in the Other Room by Diana Krall. This track is excellent to check crossovers that are between 2kHz~2.5kHz. If there are any issues, the sibilance will either be excessive or disappears entirely. In the Solitaire, the sibilance is spot on. Not too much. Not to little. Just the right touch. Vocal positioning is the way I like it, slightly in front in the sound stage and doesn’t sound shrill. For male voices, I put on my favourite Innamorata by Dean Martin. There’s no hint of nasalness. This happens when frequencies from 200Hz~500Hz are too much. And to check for any box resonances or peaks in the response, I played John Denver. His style of singing, the pulling of the notes, acts very much like test tones. In Annie’s Song, Leaving on a Jet Plane and other hits, they sounded perfect. The treble from the Morel MTD29 is superb. She’s on par with my Seas 27TDFC except that the MDT29 is wonderfully smooth in her frequency response. That alone is worth everything as far as I’m concern. The Solitaire cannot be used without bass support. For this exercise, the bandpass Albatross performed admirably. The Albatross with the additional 300Hz 24dB/oct LPF does not interfere with the midrange of the Peerless 830870 at all. This contributes greatly to the clarity of the midrange. What is most important in this project is the perfect match of the Peerless 830870 with the Morel MDT29. Now that I have found the right combination, all I need is to take care of the bass woofer. The possibilities are exciting. I can design a conventional standalone 3-way, that is all 3 drivers in one box, a TMWW tower, a MTMWW and many more. Somehow, a B&W 801 keeps recurring in my mind. But instead of a direct radiating 12″ woofer, it is the bandpass Albatross.